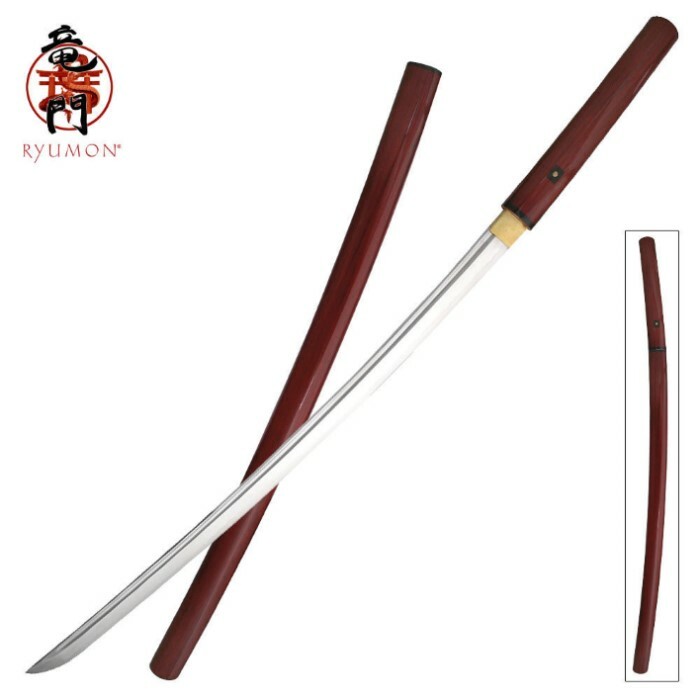 Ryumon Crimson Red Wood Shirasaya Katana Sword | BUDK.com - Knives & Swords At The Lowest Prices! Collectors take notice! You won’t want to miss out on this top-quality Ryumon Crimson Red Wood Shirasaya Katana Sword with a genuine buffalo horn koiguchi. This masterpiece features a hand-forged 1060 high carbon steel blade with a hand-sharpened edge and a heavy blood groove. 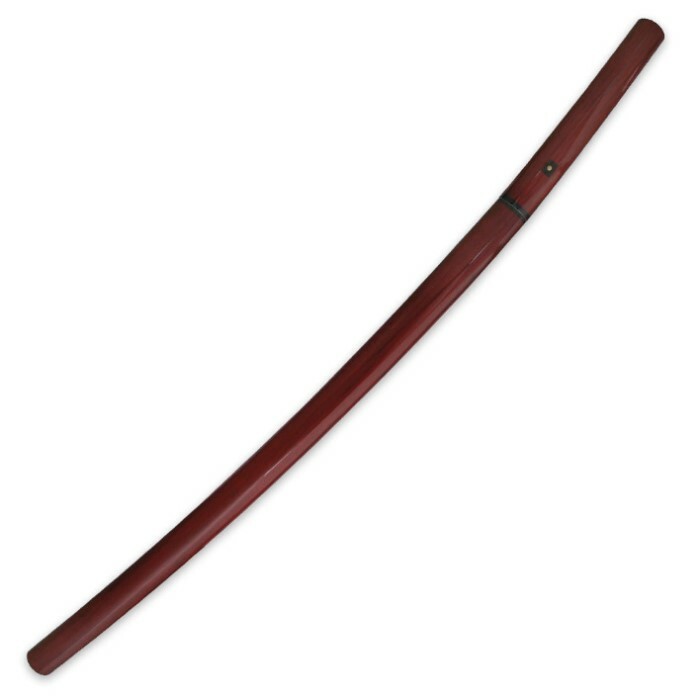 The handle and scabbard are carved of smooth, crimson-colored hardwood with a glossy lacquered finish. Another example of the fine quality of this shirasaya is the genuine buffalo horn koiguchi accent at the base of the scabbard, which houses the massive blade in style. This handmade sword has a custom-designed, one-of-a-kind look and feel and a mighty presence at 40.9” in overall length. It also includes a certificate of authenticity, storage bag, reference guide and cleaning kit to maintain this treasure.